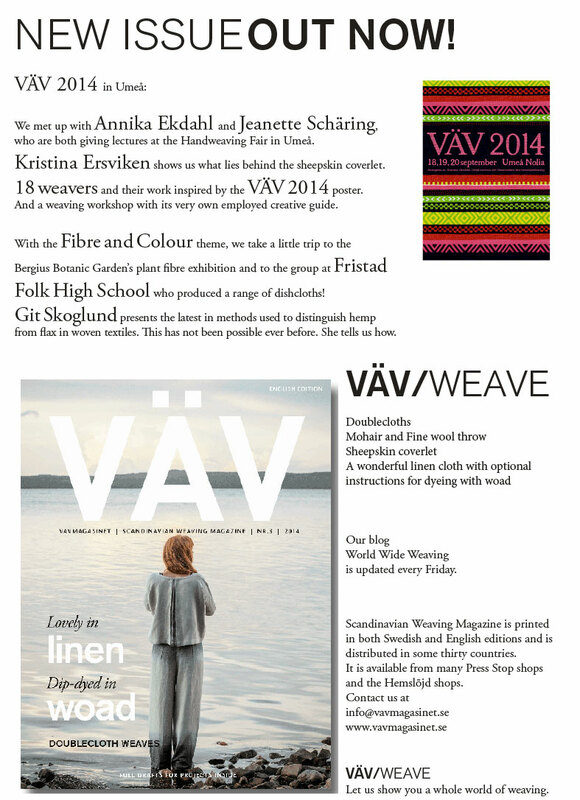 Friday news from Scandinavian Weaving Magzine; Textile shows at Virserum’s art hall in Småland. 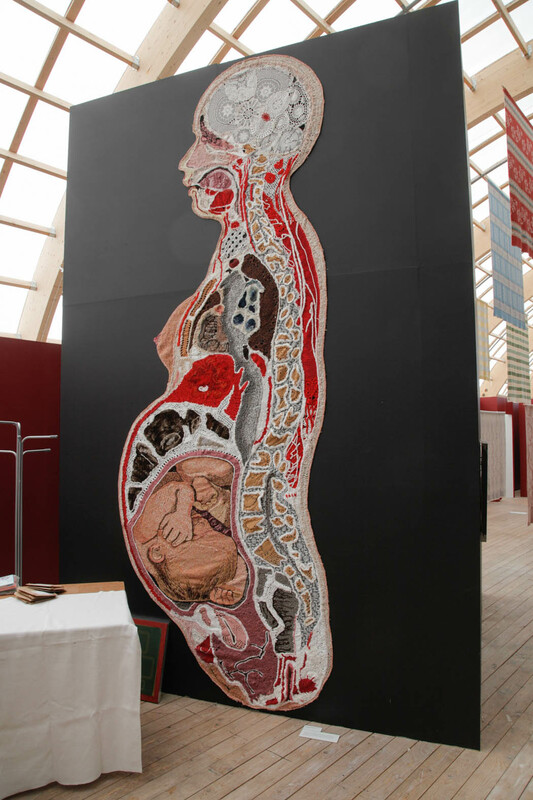 Until September 14 you can se Best in Sweden at Virserums Art Hall in Virserum, Småland, Sweden. 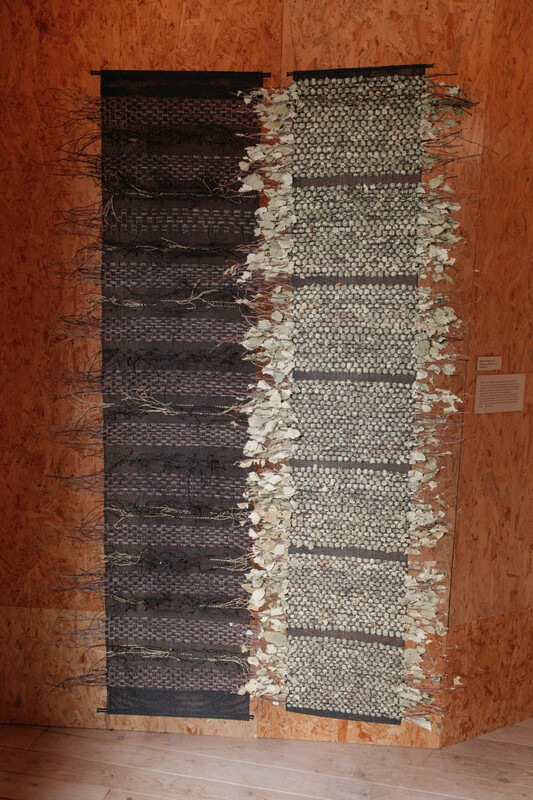 And the show showing some very interesting Textile art, in the same building, one floor above. 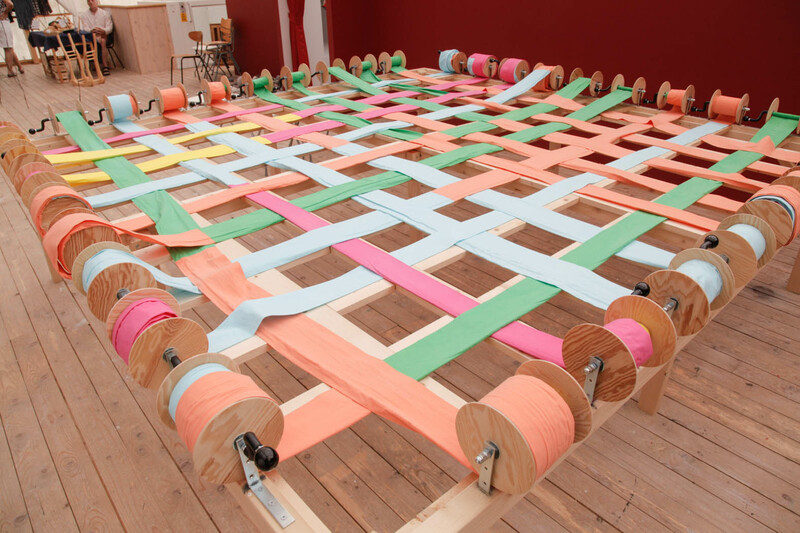 Eleonor Frankenberg, shows a way to create a colour- in-weave. 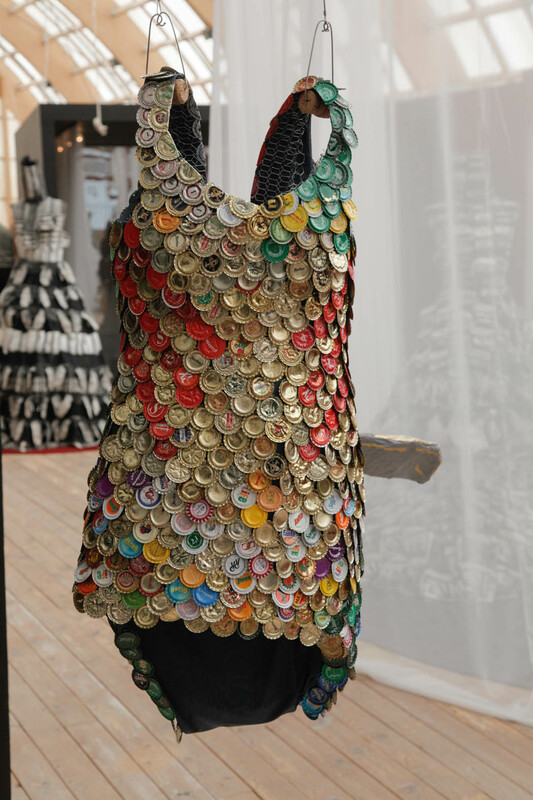 Below, Klara Neros recycling dress, Twistin’s weave with natural materials in weft and an knitted woman with child by Sandra Magnusson. 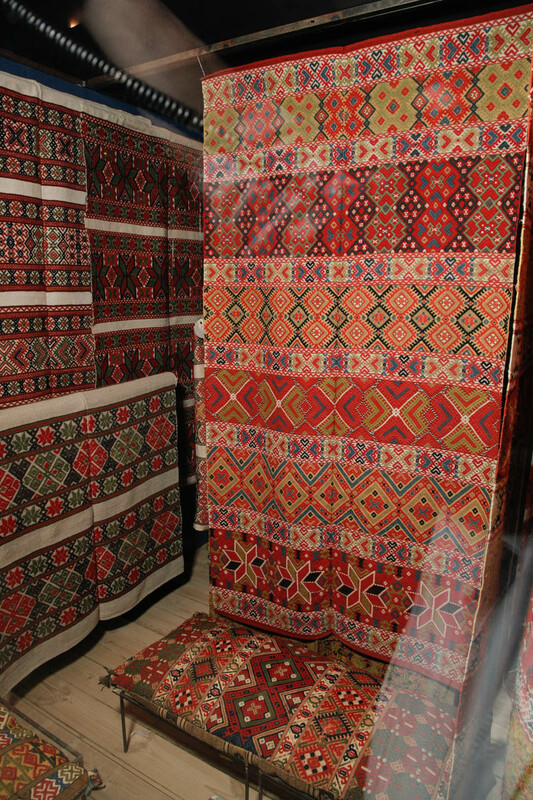 It is colourful and beautiful and very very rich – the exhibition with woven treasurs from Skåne. 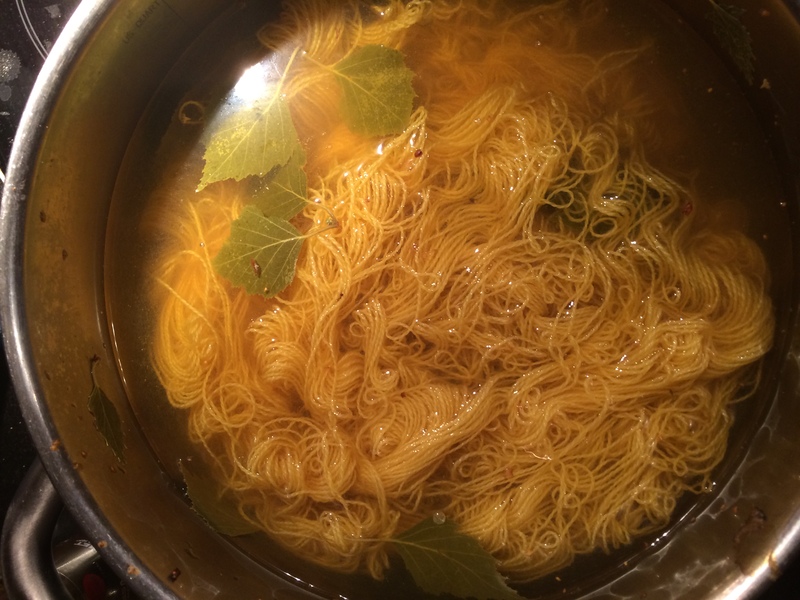 Here is a gallery of pictures. Dukagång what we call a Blådrätt Blå is for Blue since the weft is dyed blue. 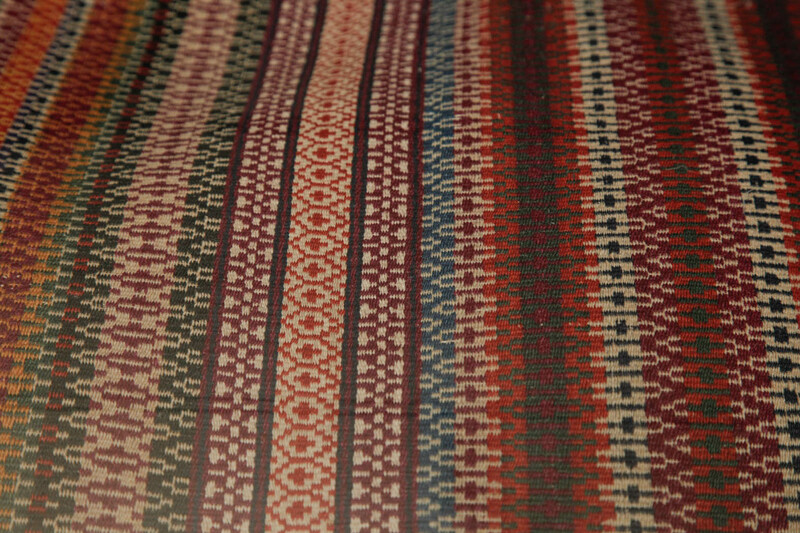 This one is woven by Hanna Larsdotter year 1767. 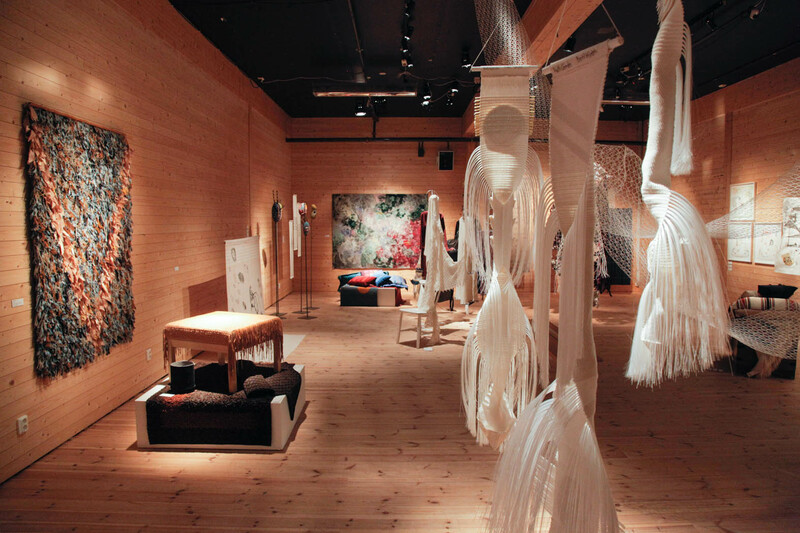 If you like to read more about Textiles in Skåne, Vävmagasinet number 2 2013 is a theme with a lot of articles and projects. To all our subscribers and to all of you who are waiting to join us. 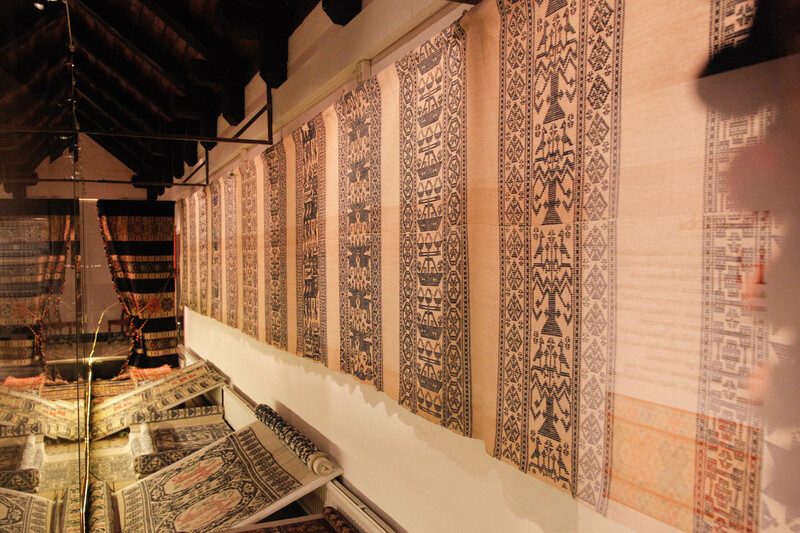 A new issue is out now! Here are a table for metric-imperial conversion. Click on the picture! 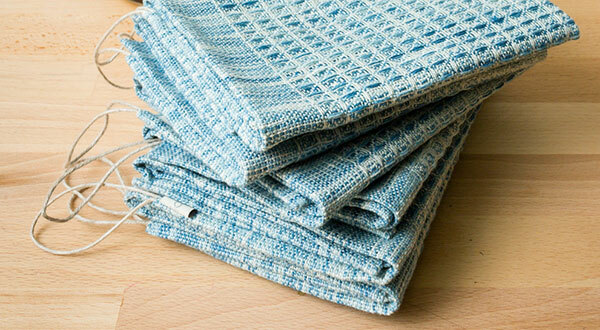 Read Birgitta Andersson’s article about weaving with linen. Click here! 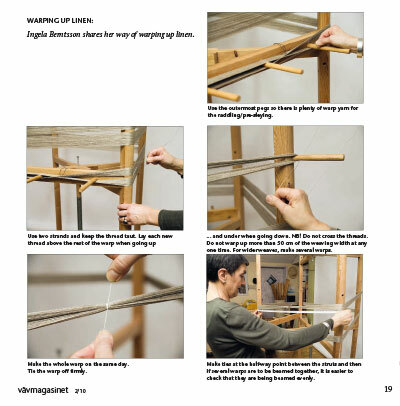 Read the article about how Ingela Berntsson warp with linen.